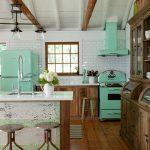 When I first saw the Southern Living Showcase Home on Always in a Southern State of Mind, I thought it looked like something you’d see in South Carolina! 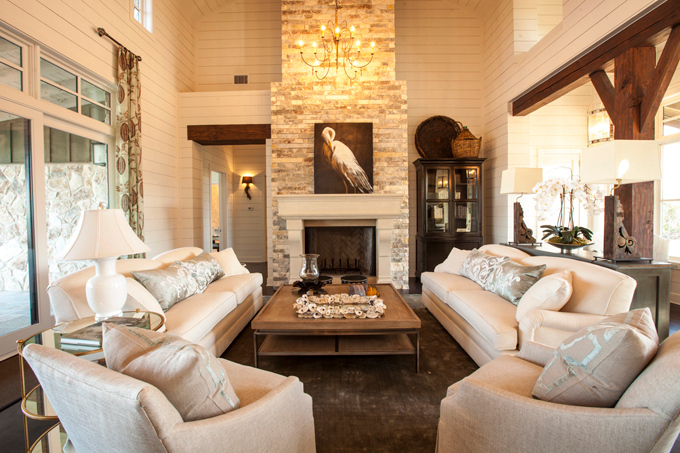 Nancy quickly cleared that up for me though…the home built by Silverton Custom Homes and Henley Homes is actually in the great state of Texas overlooking Lake Travis. 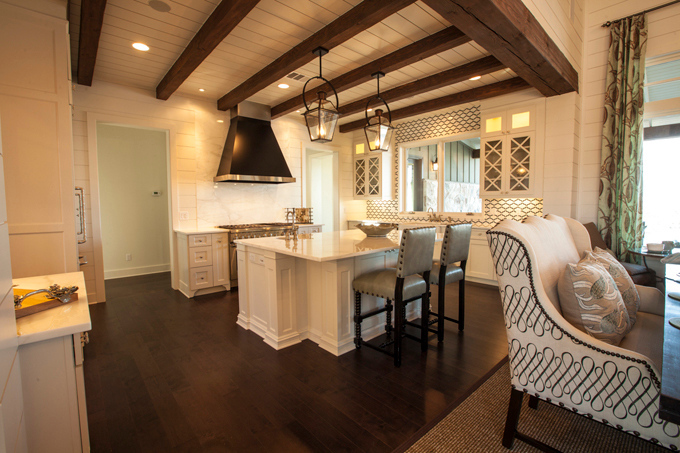 Austin-based Heather Scott Home & Design did an awesome job capturing the charm and beauty of the southern lakefront lifestyle. 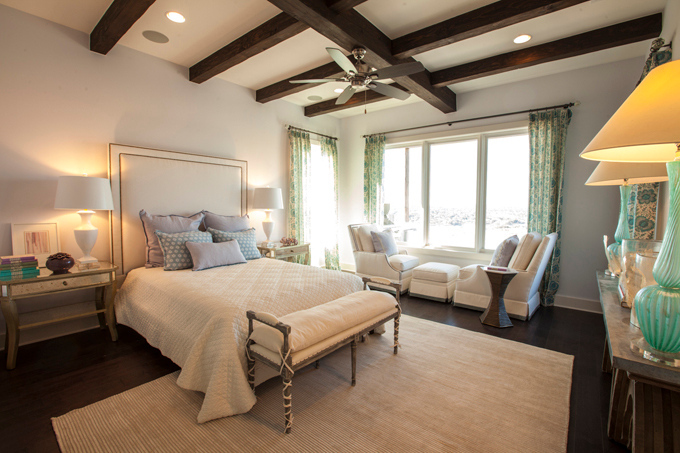 I love all of the neutral colors accented with subtle beachy blue/greens and the fabulous rustic touches–the beams are fantastic! Head over here for lots more photos…the bathroom and views are especially breathtaking! 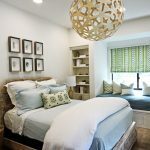 Texans: If you’re in the Hill Country area, the Southern Living Showcase Home is still open to tour until February 24th! 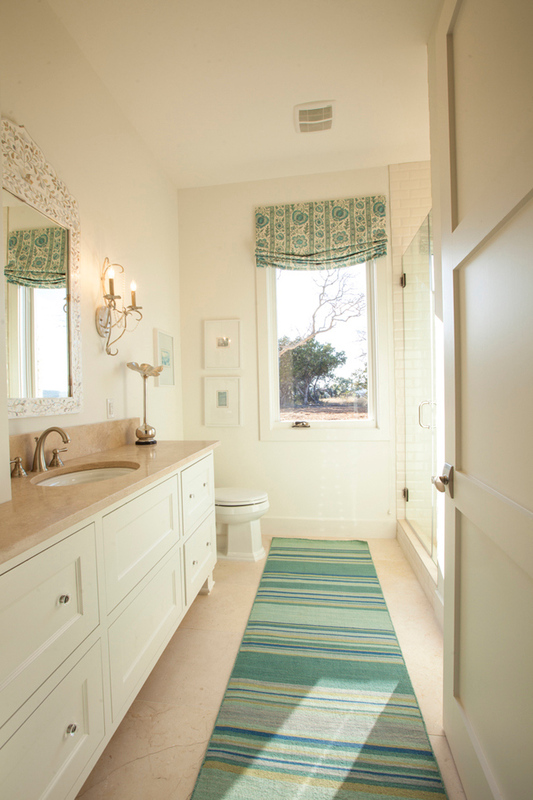 Loving the simplicity of that bathroom (second photo) and the pops of turquoise. I went to this home yesterday! It's so beautiful and they did an excellent job on the decorating, building and architectural design. The view from the home was amazing too….well done. So proud of Heather!!! She is as sweet as her work is beautiful!!!! I love that bathroom too! 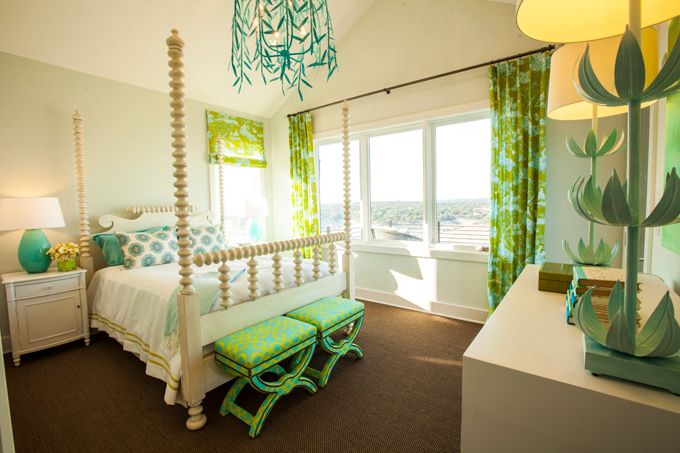 My bedroom is tans with pops of turquoise. It's so restful. And in the case of this bathroom, so elegant. 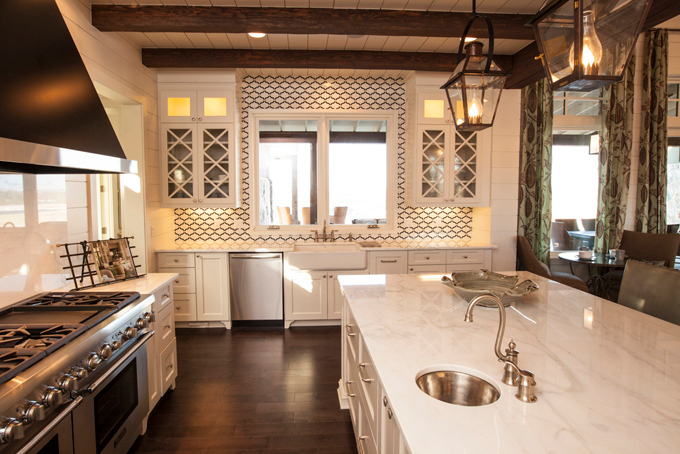 Love the understated pattern in the counter and floor, paired with the painted cabinets. 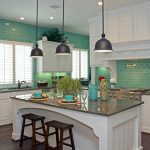 It really makes the turquoise rug and Roman shade take center stage. 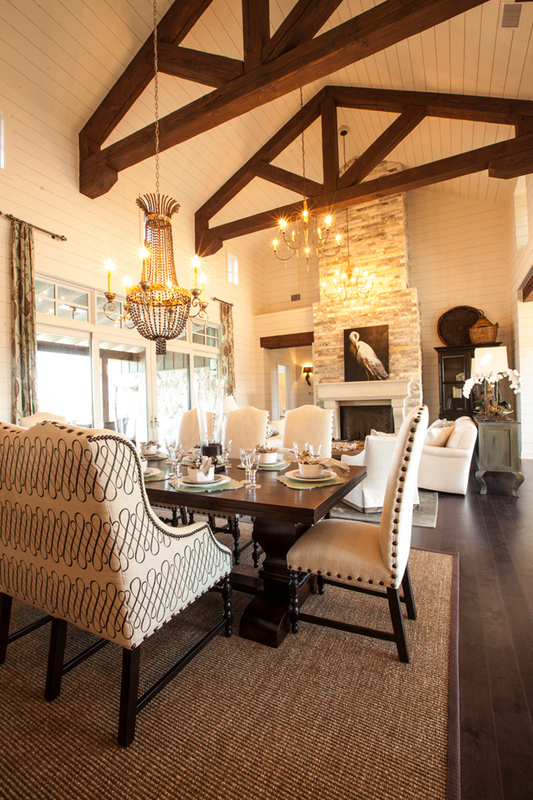 When I got this in my e-mail I swooned over the dining room and I still can't get myself out of there. Wonderfully put together. Love this! The fabric on the outside of the dining bench is to DIE for! Love your blog. 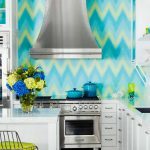 As someone who loves to cook, that kitchen stove and kitchen is amazing!! Beautiful Heather!!! Absolutely love it! Love the showhouse and love heather! The effect of the light makes the bird of the wall-mat over the fire place real.I like the decoration of bedroom in the third picture. I wish I had such a house. I love the hardwood floor! Anyone know what was used?